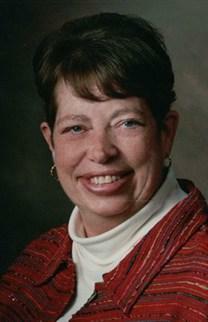 (Dianne) Carolyn Hilton Bird, of Plano, Texas, passed away on Tuesday, July 10, 2012 after an extended illness. She was 66 years old. Carolyn was born in Bingham, Utah on August 28, 1945 to Edna Irene Huish Hilton and Ivins Hilton. She graduated from Olympus High School in Holladay, Utah. She attended the University of Utah, where she received a bachelor's degree in business education. While studying there, she met Allan Karl Bird, whom she married in the Salt Lake Temple of The Church of Jesus Christ of Latter-day Saints on June 17, 1966. They shared a great love for each other throughout their life together. They moved from Salt Lake to pursue further education for Allan in Lansing, Michigan, then to San Antonio, and ultimately settled in Plano, Texas in 1974. While Allan attended school and began his career, Carolyn wanted to stay at home with their children, but she felt she also needed to help financially. During those years she babysat frequently and was also resourceful in finding other ways to supplement the family income, including typing theses and dissertations. When they moved to Plano, she taught piano lessons and also typed medical reports from home when the children were in school. Carolyn was talented in so many ways. She decorated cakes, sewed, quilted, and crafted. And even in areas where she was not naturally talented, she was able to succeed. She could install tile, change the oil in the car, and mow and edge the lawn. She never shied away from hard work or trying new things if it meant improving herself, her family, or someone else. Carolyn had a perpetually positive attitude about life. She loved music, and was apt to break into song whenever the context permitted (and it frequently permitted). Although she taught piano lessons privately for a time, her greatest joy came from teaching her children and grandchildren her talents and love for music. She volunteered as the pianist for the Younger Generation Choir (a community children's choir) for several years. She had a love for people, and served those around her willingly and completely. Allan and Carolyn were blessed with eight children. She loved being a mother, and was devoted in every way to ensuring her children felt loved and supported. She was tireless in her work, and was always there physically and emotionally for her family. Her children knew they could count on her, and her unconditional love helped them face life's challenges. Volunteer work was always something she loved doing, and education was important to her. In later years, she completed her teaching certificate in elementary education. She spent many hours of service in the public schools. She was active in PTA, eventually receiving the PTA Lifetime Membership award. In recognition of Allan's and Carolyn's volunteer efforts for the district, they were honored by the naming of the Allan K and Carolyn H Bird Education Center in the Plano Independent School District. Her life was defined by her faith in Jesus Christ. She served continually in different callings in The Church of Jesus Christ of Latter-day Saints, including a mission in Dallas with her husband after her kids were grown. She lifted and loved those she served. She had a knack for making people feel comfortable and included. She never met a stranger. She could stand in the grocery line and by the time she paid for her groceries people around her felt like they had a new friend. In all she did, she reflected her love of the Savior. 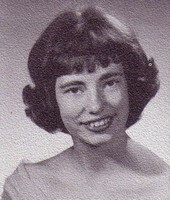 Carolyn is survived by her husband, Allan Bird, of Plano, TX, and by her eight children and twenty-two grandchildren: daughter Lori Baker, her husband Doug Baker, and their children Megan, Taylor, McKenzie, Nicholas, and Matthew, of Plano; son Bryan Bird, his wife Marika Bird, and their children Austin, Kendall, Grant, Caden, and Audrey, of Allen, TX; daughter Lisa Holmes, her husband Ken Holmes, and their children Morgan, Tanner, Andrew, and Kaylee, of McKinney, TX; son Mark Bird, his wife Stevie Bird, and their children Macen, Braden, Adam, Sarah, and Ashley, of Denton, TX; daughter Nicole Parker, her husband Kasey Parker, and their children Weston, McKay, and Karly, of Saratoga Springs, UT; daughter Amy Branson and her husband Andrew Branson, of Plano; daughter Michelle Billings and her husband Matthew Billings, of Saratoga Springs, UT; and her son Kevin Bird, of Tempe, AZ. She is survived by her brother Delwin Hilton, his wife Lisa Hilton, and their children David and Jonathan, of Kaysville, UT. She is also survived by her sister-in-law Lorraine Jameson, her husband Brent Jameson of Tempe, AZ, and their children (and various grandchildren): Jennifer (Marvin) Pierce of Gilbert, AZ; Ryan (Linsey) Jameson of Draper, UT; Emily (Eric) Stewart of Chandler, AZ; Corinne (Klint) Webb of Gilbert, AZ; Stacy (Derek) Allen of Gilbert, AZ; and Scott (Jenna) Jameson of Mesa, AZ. Funeral services will be held at 11:00 a.m. on Saturday, July 14, 2012 at the Roundrock Chapel of The Church of Jesus Christ of Latter-day Saints (2700 Roundrock Trail, Plano, TX 75075). A viewing will be held from 6:00 to 8:00 p.m. on Friday, July 13, at Ted Dickey Funeral Home (2128 18th Street, Plano, TX 75074) and at Roundrock Chapel Saturday from 10:00 to 10:45 a.m. prior to the funeral. At the request of the Bird Family, memorials may be made to one of the following organizations: The Plano ISD Education Foundation, sent to Employee Assistance Fund, 2700 W. 15th St. Plano, TX 75075 or to The Latter-day Saint Charities, Wheelchair Distribution Fund. Click here to see (Dianne) Carolyn's last Profile entry.